We will analyze your Instagram account and evaluate your unique scenario. We will discuss specific strategies for your continued and increased growth and tackle any questions you have. Time is definitely money. We will help direct your activity so you do not waste any. Our goal is to help you maximize your efforts to achieve your goals. Service includes: 45-min coaching session on the phone with Julie or Jodie. Also included, follow-up advice as needed. 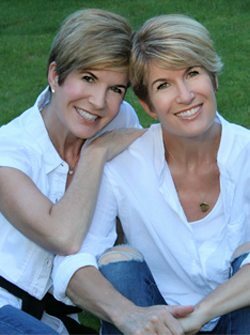 “Julie and Jodie have been motivators and encouragers since my very first interaction with them! I credit them with aiding me in a large part of my growth on IG, even before our consult – I have learned so much through their blog, stories, and posts. They inspire, foster being FOR one another, and spread love throughout the Insta-community! I had the privilege of doing the 1-hour Personalized Instagram Assessment with them, and so appreciated the homework they gave me leading up to the conversation to help me think through the direction of my account, etc. and how they took the time to analyze each of my posts to give me some concrete things to strive for and improve upon. They encouraged me but also gave me suggestions for things I hadn’t even noticed (like that I hold my camera crooked! :)). 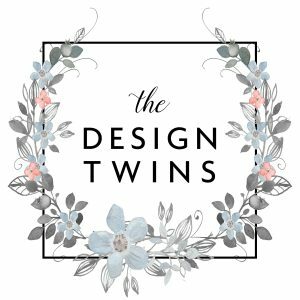 “In April of 2017 I came upon the decor community on Instagram. Immediately I found the galleries of The Design Twins. Their beautiful posts and inspiring words drew me immediately. I happened upon a post that talked about starting an Instagram account and making it into a business. It sparked a light in my heart. I knew I could decorate and style – but Instagram I knew nothing about. Posting mediocre images with my cell phone camera and using random hashtags I sat by my IPad waiting for someone to comment or like. However, it seemed like my posts were disappearing into the abyss. Having been a successful business owner, I knew I needed coaching from someone who had been where I was and could lead me to where I wanted to go. Remembering that The Design Twins did Instagram evaluations and provided strategies on how to grow your Instagram account I realized I didn’t need to reinvent the wheel, but needed guidance on how to change my tire!! I would not be here if it was not for their incredible guidance. They helped me change my name, enhance my bio and edit my feed. They analyzed my photography and posts. Jodie and Julie also helped me find the best posting times and guided me about engagement to increase followers. I have followed all the guidance they have given me and have enjoyed wonderful growth. I am not going to lie, it’s hard work. You must be willing to devote time and put energy into your account. It has been amazing experience and I have made the most amazing friendships in this incredible community.